For years, scrap rubber tires, generated when old and worn tires are replaced with new ones, were tossed into landfills with abandon. Designed for a rugged life of use under a car or truck, tires are made of vulcanized rubber, which means they decompose very slowly. Accumulation of the discarded tires posts environmental threat such as landfill fire which can last for a long time releasing toxic pollution into the air. Reclaiming and recycling rubber have many benefits. Recovered rubber costs half the price of natural or synthetic rubber, and possesses certain properties that supersede those of virgin rubber. Producing rubber from reclaim requires less energy than using virgin material. And recycling rubber tires keeps them out of landfills, which not only saves the precious landfill space, but also protects environments as well as human health. One of the most popular ways of recycling used tires is turning them into rubber crumb through multiple size reduction, separation, and screening processes. The recycled rubber crumb can be used for all sorts of things: playground cover, asphalt and athletic rubber surfaces, landscape mulch, arena footing, and more. – Secondary Shredder – for further size reduction of tires trips into chips and liberate remaining steel in the rubber. – Magnet Separator – for separation of the liberated steel wires from rubber. – Granulator – for granulating rubber chips into granules and liberate fiber in the rubber. – Conveyors – for automatically transporting material between each piece of above equipment. – De-dusting system –for removal of dust and keep the working environment clean and healthy. 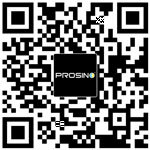 To find out more about PROSINO range of shredding machines and granulating machines, please contact us now at www.sinoshredder.com , one of our friendly representative will discuss your recycling needs with you and provide the right solution for your situation.